HWM Aston Martin is the most reputed dealer of the legendary Aston Martin cars, worldwide. 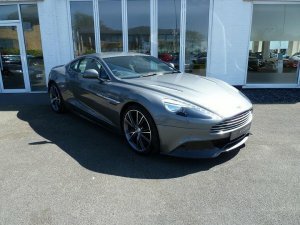 We are offering an aston martin vanquish that is available for sale in the Hammerhead Silver color with an obsidian black leather interior trim, at a price of £146,995.00. To grab a hold of this Vanquish or any other Aston Marin, visit us at httpwww.hwmastonmartin.co.uk/sales/vanquish-230.asp. You may also call us at 01932 506947.